The tomata cascades are located in the Alseseca River, near the city of Tlapacoyan, in the state of Veracruz. But there is also a conflict Between the limits of Tlapacoyan and Atazalan is born the waterfall La Tomata, a place with an imposing beauty that has become the perfect paradise for those who practice adventure sports.This waterfall is flat water passes in 90 degrees to a 23m free fall. 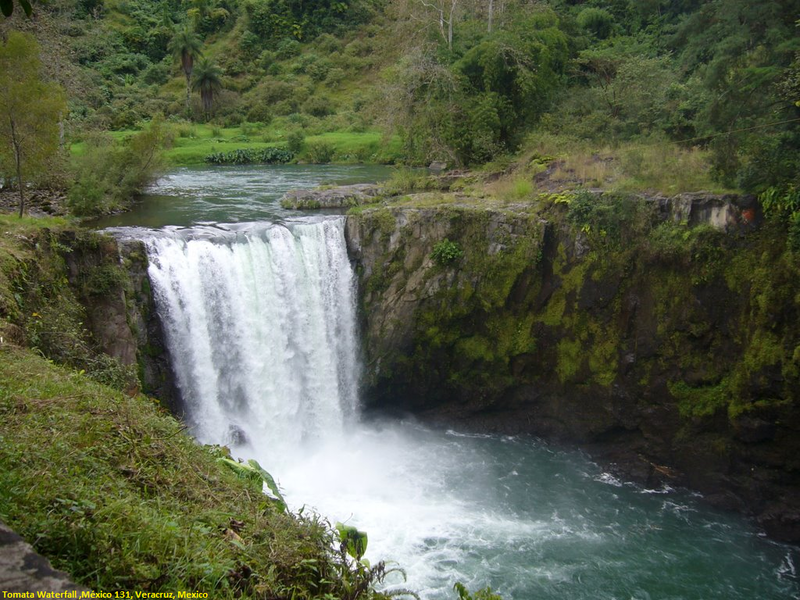 The Alseseca River feeds this waterfall ,Surrounded by a landscape full of tropical vegetation. To get there, you can take a second truck that goes to Altotonga, get off at La Tomata bridge and walk about 300 meters and you're done, The entrance has a symbolic cost. Best time to visit -: Oct. -Nov.